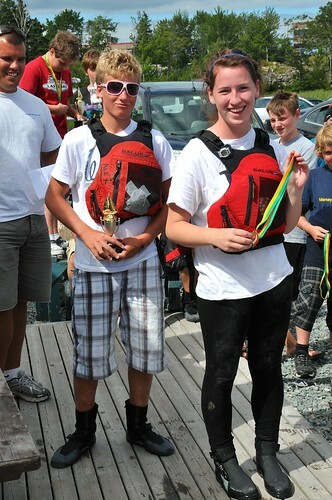 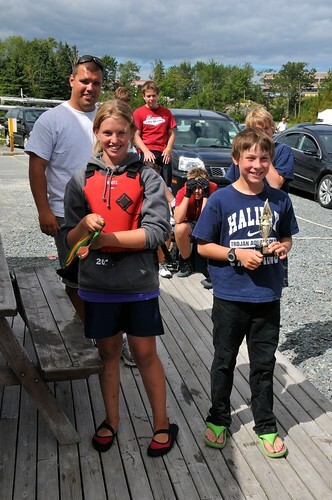 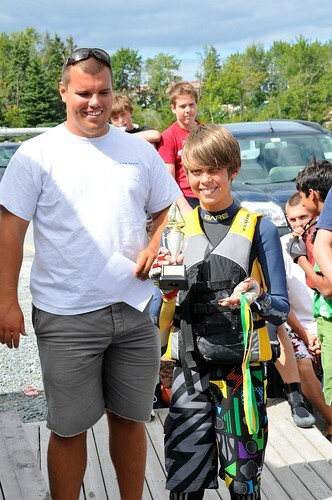 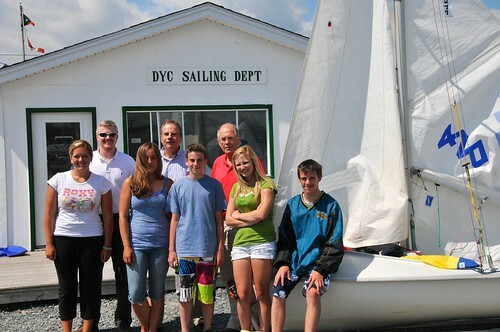 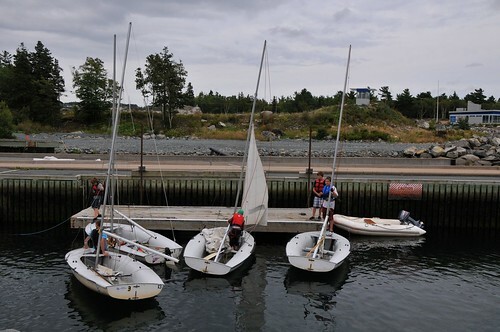 Annual Bamse Cup Regatta for Youth. 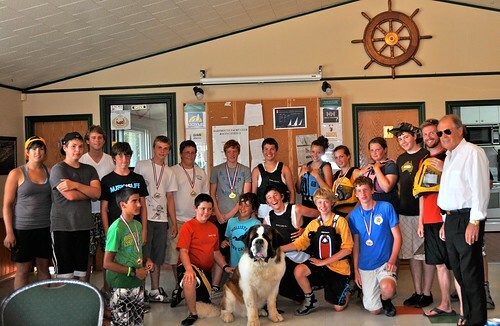 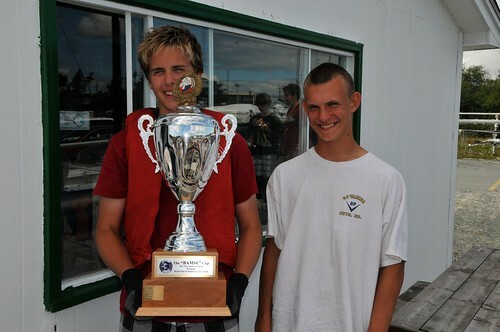 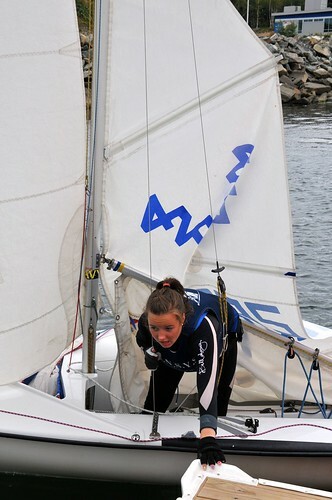 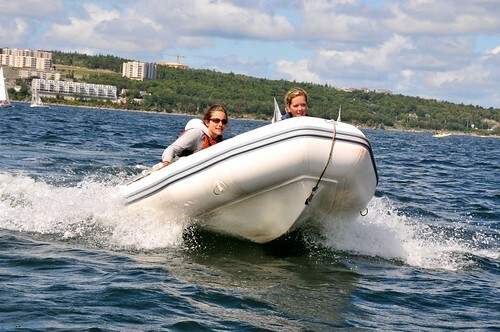 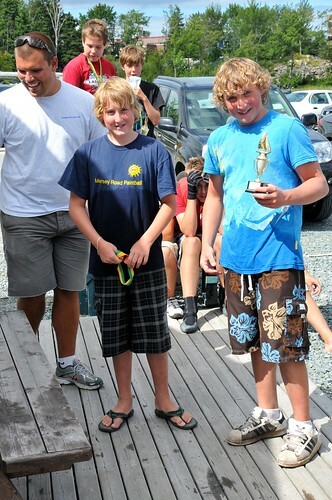 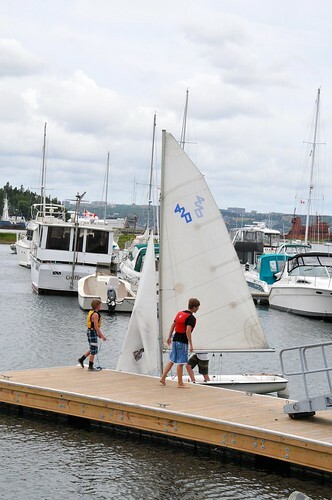 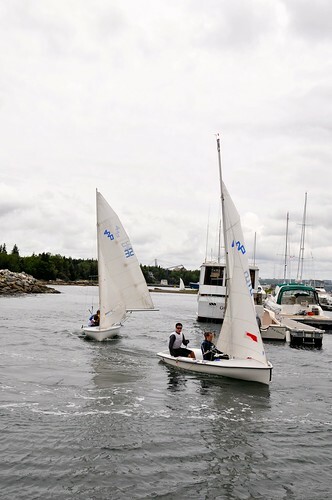 The Bamse Cup training regatta is a free, annual training event hosted at the Dartmouth Yacht Club, promoting fun, interclub training in a competitive format. 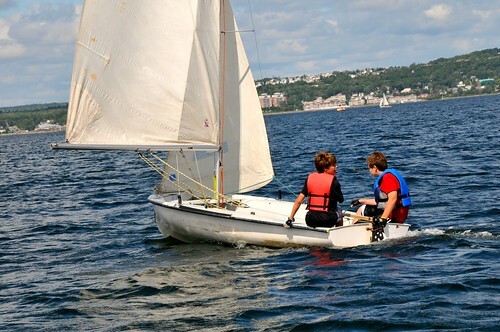 The regatta takes its name from a famous Norweigan ship dog, who served in the navy during the Second World War. 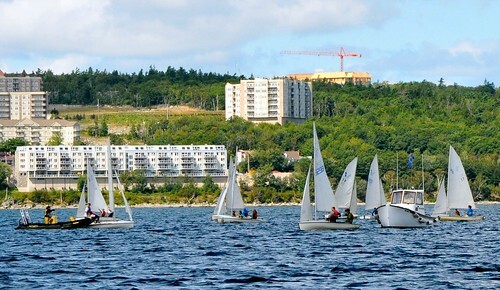 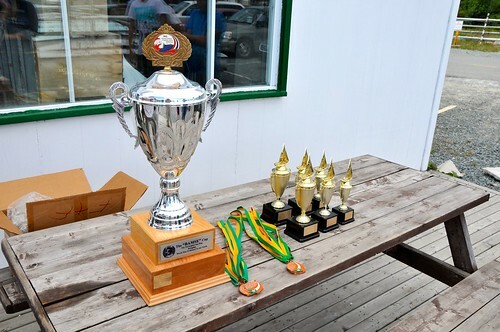 This year, the Bamse Cup will take place on August 17 and 18, in advance of the Convoy Cup weekend. 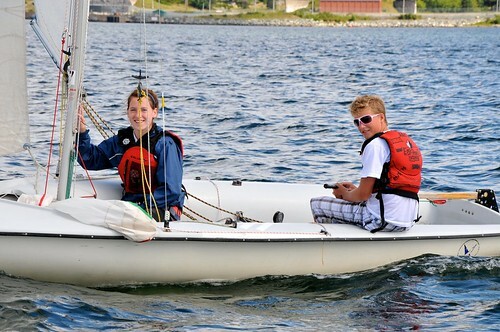 The Bamse Cup is a fitting tribute to the extraordinary life of an extraordinary dog. 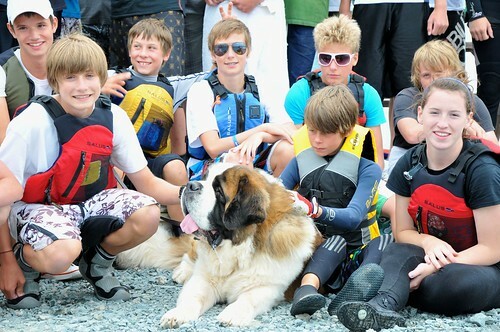 The Convoy Cup Foundation recognizes the invaluable contributions made by service animals big and small; in war and peace. 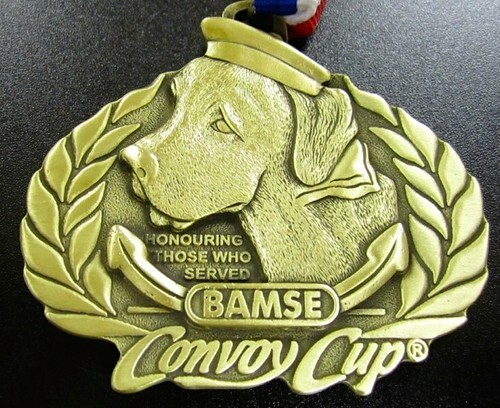 Join us in keeping Bamse’s memory alive and honouring the generations of loyal service animals that faithfully carry out their duties, enriching the lives of civilians and veterans alike. 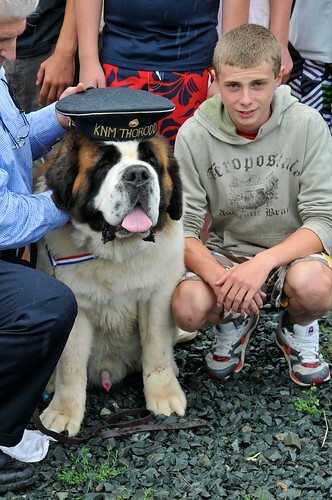 Bamse (pronounced Bum-sa), was a Norweigan St. Bernard dog that served in the Navy during World War II. 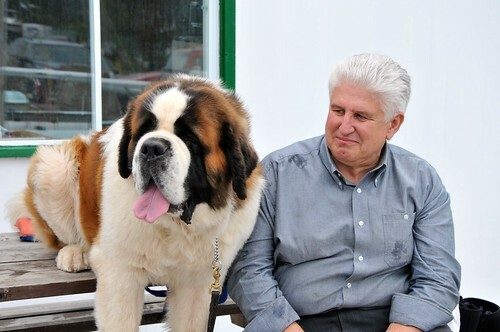 Bamse was a family pet of Captain & Mrs. Erling Hafto of Honningsvag, Norway. 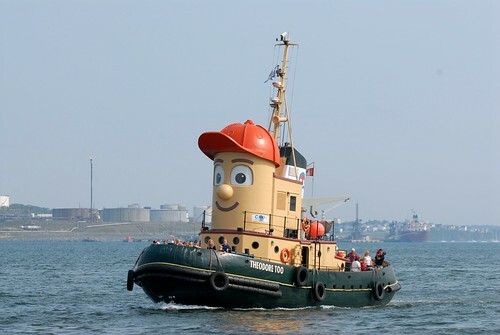 When war broke out, Bamse accompanied Captain Hafto aboard the minesweeper Thorodd. 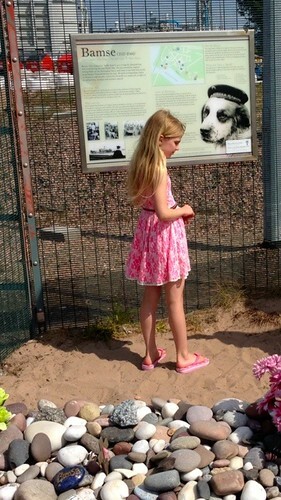 Bamse went on to show extraordinary courage in action, often standing guard in the foremost gun tower. 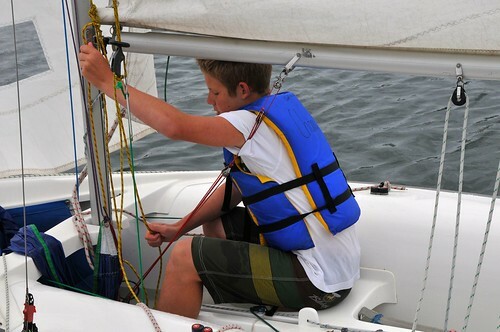 He became so important to the morale of the ship's crew that when Captain Hafto took another posting, they insisted that Bamse stay behind. 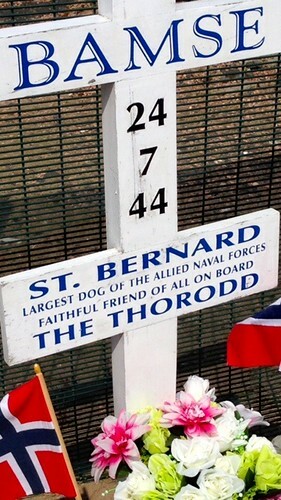 After Norway fell to the Germans in 1940, Thorodd was stationed in Dundee and Montrose, Scotland, where Bamse became a much-loved pet of both crew and residents alike. 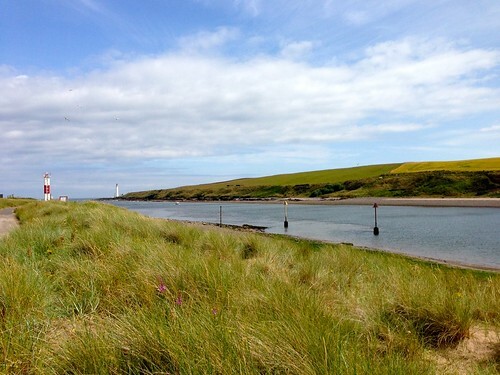 He took part in football matches, broke up fights, and was a familiar sight at nearby pubs, rounding up sailors and dragging them back to ship before curfew. 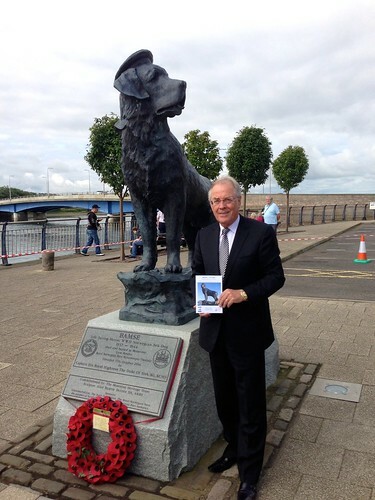 In 1941, he saved the life of a ship's officer who was attacked on the Dundee docks, knocking his attacker into the water, while another time, he rescued a sailor who had fallen overboard, unseen by anyone else, by jumping off the deck of the ship to rescue him. 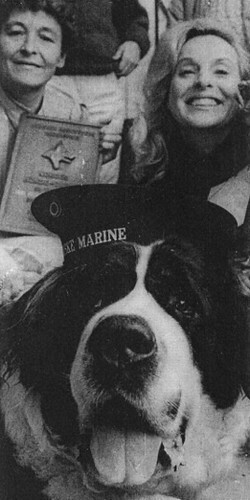 During World War II, Bamse was awarded the Mascot Medal, as the largest dog of the Allied Forces. 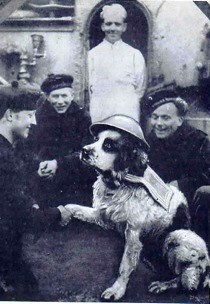 He was adopted the mascot of the Royal Norwegian Navy, and later, all the Free Norwegian Forces, as a symbol of freedom and inspiration for Allied troops throughout Europe. 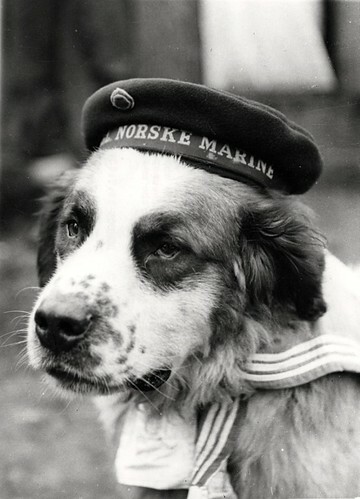 Bamse's photograph, dressed in his mariner's cap with the words "Royal Norske Marine" was sent to Norwegian Naval troops all over the world at Christmas and Easter to raise morale. 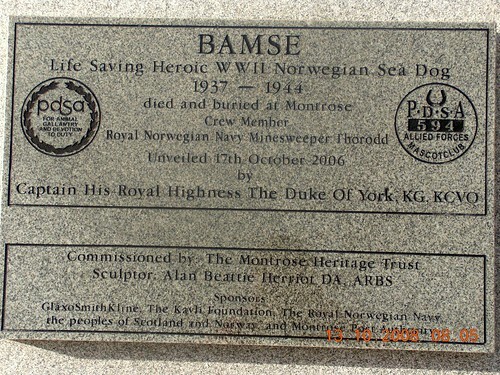 Bamse died of heart failure dockside at Montrose in 1944. 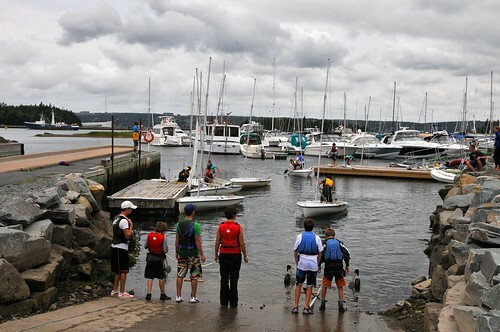 Buried on the banks of the South Esk River, facing towards Norway, Bamse's coffin was draped with the Royal Norwegian flag and carried by six of Thorodd’s crew members, while the crew of six Norwegian ships stood guard of honour and some 800 children lined the streets. 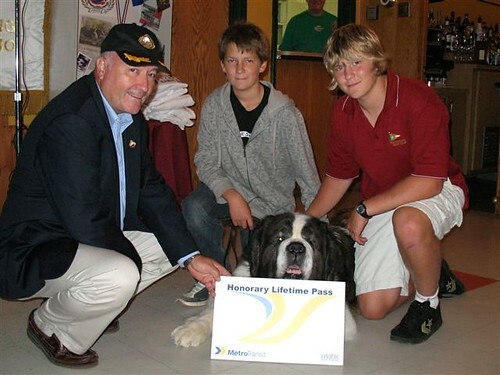 On 22 July 2006, at the House of Dun, Montrose, Bamse was posthumously awarded the PDSA Gold Medal for saving the lives of two crew members of the Norwegian Navy minesweeper Thorodd. 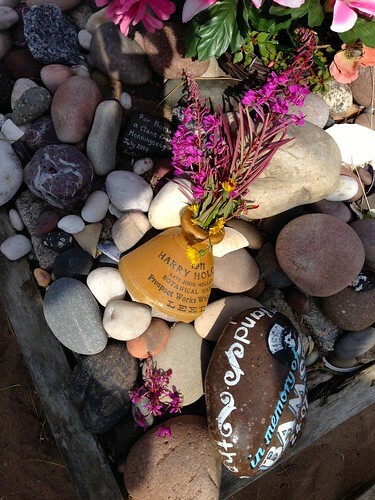 The presentation was made exactly sixty two years to the day of Bamse’s death in 1944. 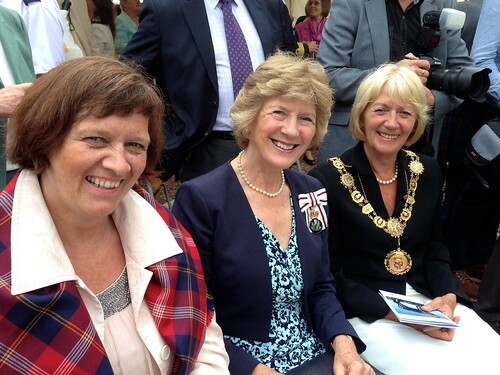 The Gold Medal is awarded for exceptional acts of animal gallantry and devotion to duty and is widely recognised as the animals’ equivalent to the George Cross. 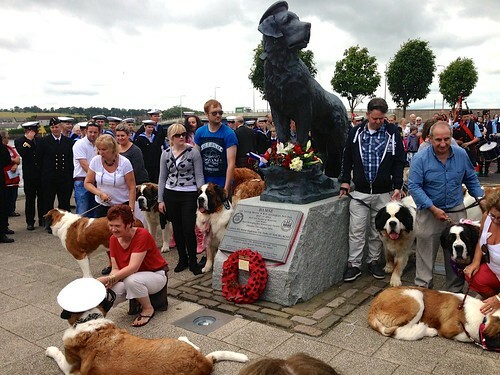 Bamse is only the ninth dog to receive the award and the only recipient from the Second World War. 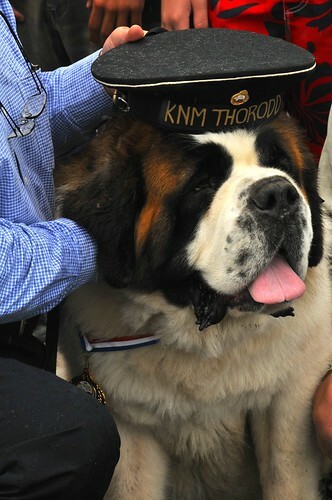 Commander Erling Hafto, Captain of the Thorodd bought Bamse as a family pet before the war began and his daughter, Vigdis Hafto accepted the medal on behalf of Bamse from PDSA Chairman, Freddie Bircher. 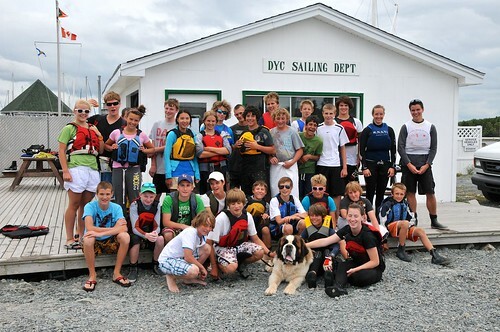 The Bamse project was launched in May 2004 to raise fund to create the statue and promote the legend of Bamse. 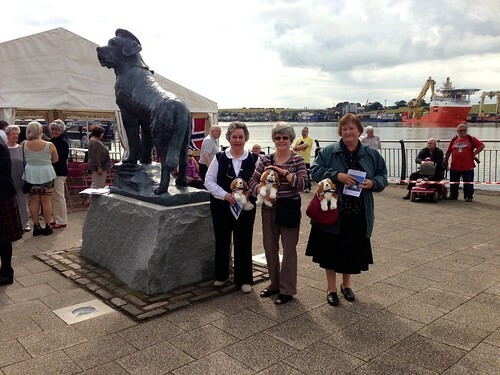 Sculptor, Alan Herriot in Midlothian, Scotland was commissioned to create a life size sculpture of Bamse. 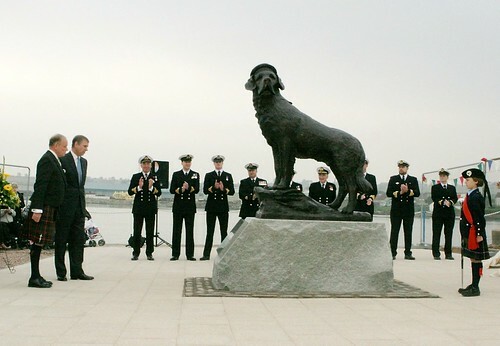 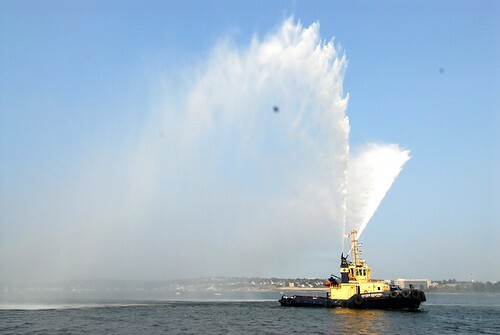 The unveiling of the statue of “Bamse” took place October 17, 2006 in Montrose by HRH Prince Andrew, the Duke of York.